To Remove/Disable the DND Softkey on Yealink Phones: Turn off the DND button by adding this line: features.dnd.allow = 0 to the Yealink Phone Configuration Template found in PBX Setup -> Phone Global. 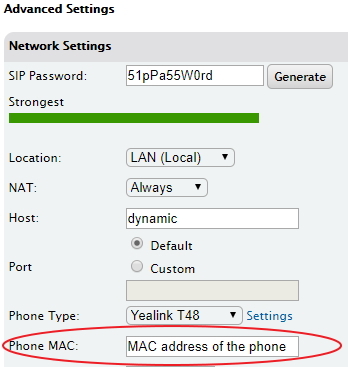 (add the line to the "Options found in the MAC config" section) Save and Apply settings then reboot the phones. NOTE: Yealink T27 models the DND Softkey remains visible on the phone, but it is disabled so pressing it will not activate DND mode.